Christina is my dear, sweet 8 month-old niece who has a smile that lights up a room and warms your heart. I held her on my lap recently and, as our eyes locked, I could “hear” her say, “won’t you please knit me a purple sweater?” Your wish is my command, Christina. This is size 6 – 12 months but, since the sizing is very generous, I’m sure she’ll wear it until she’s 2. Here’s hoping that Christina loves her new sweater and that, next time, she won’t be “asking” for an Estonian lace baby blanket. So sweet! And I love the button! Oh yeah, and Christina just texted me and “asked” me to encourage you to get started on that Estonian Lace baby blanket. She promised she would never outgrow it. Christina would probably have a child of her own before I finished a blanket like that. 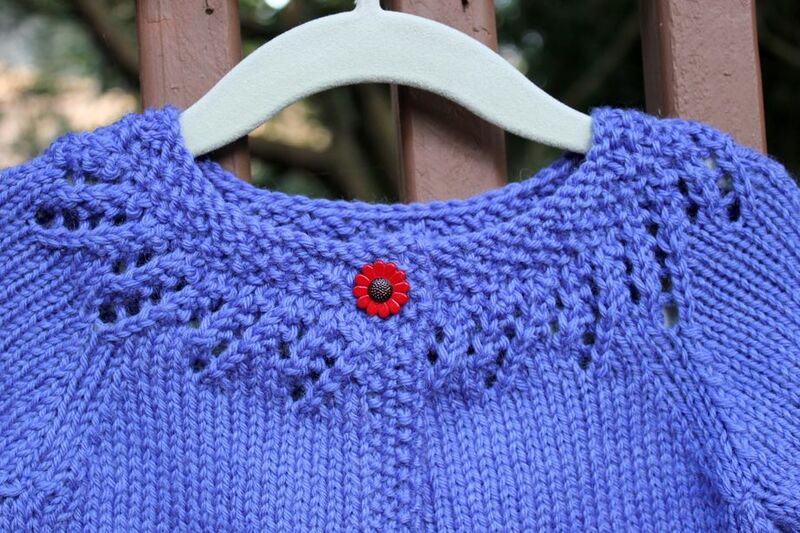 Glad you liked the button…it took me almost as long to choose a button as it did to knit the sweater. Absolutely loved Cristina’s cardigan. 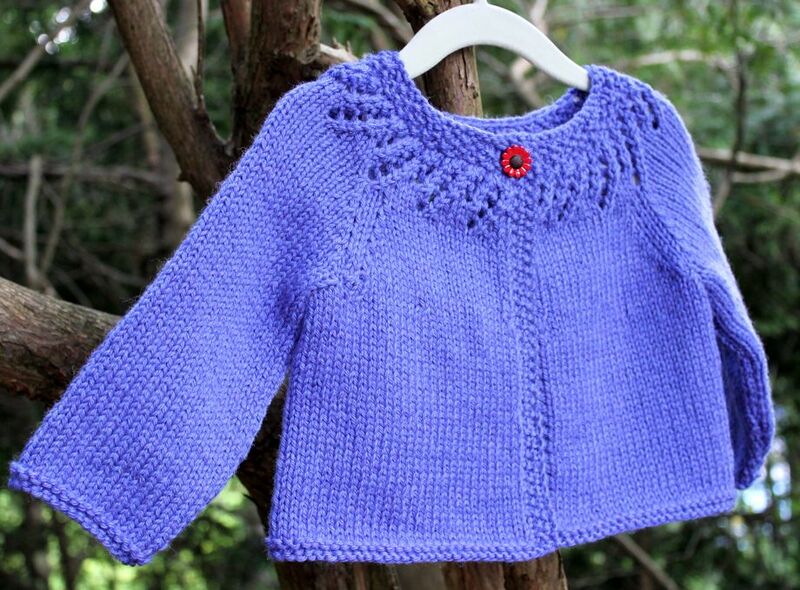 She is one lucky little girl who has an aunt to knit her such an adorable sweater. Want you to know that there’s going to be a yarn shop hop in early October. Westport Yarns, Nancy O, Kent Yarns, ,the Bethel yarn shop whose name I don’t remember, In Sheep’s Clothing, and New England Yarn and Spindle will all be participating. Also, don’t forget the N.Y. Sheep and Wool Festival in Rhinebeck and Stitches East in Hartford. Thank you. It’s a great pattern that I wish came in an adult size! This little sweater is so gorgeous – the color is beautiful. Glad you like it. I was happy with the deep purple…can’t wait to see it on her!